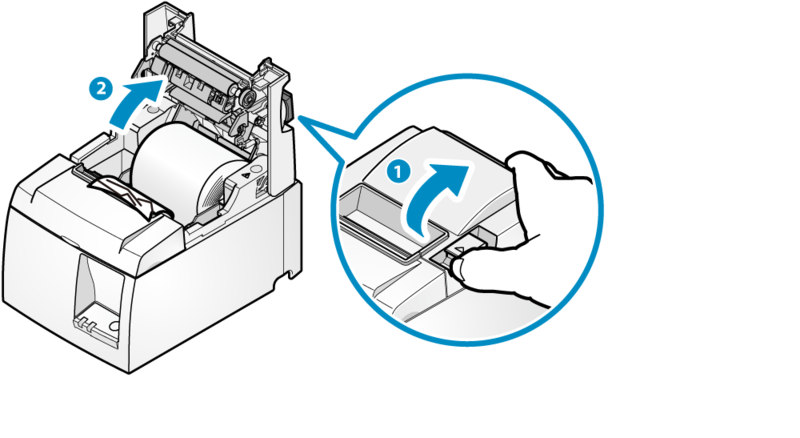 When paper jams occur, do not forcibly pull the paper and use the following steps to remove the jammed paper. Remove all, making sure paper fragments do not remain. Not removing all may cause paper jam. Confirm that there are no paper remaining in the paper roll holder or the paper exit. Forcefully trying to remove the paper may damage the product. If you still cannot remove the paper, contact the seller. 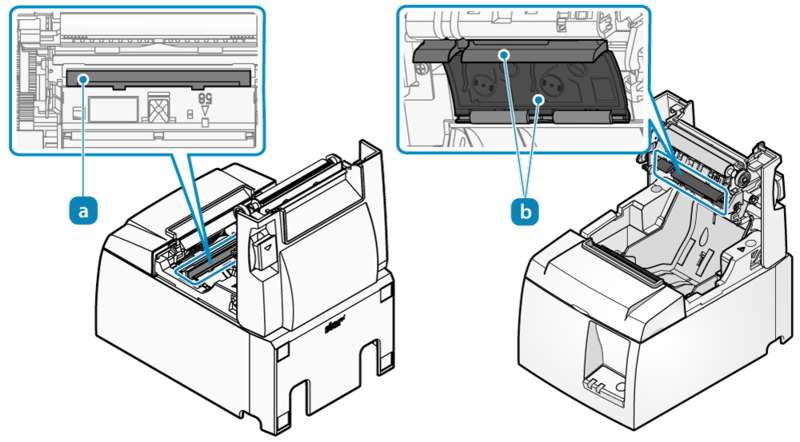 Set the paper according to the steps indicated in Paper Setup. Please note the following to prevent paper jamming. 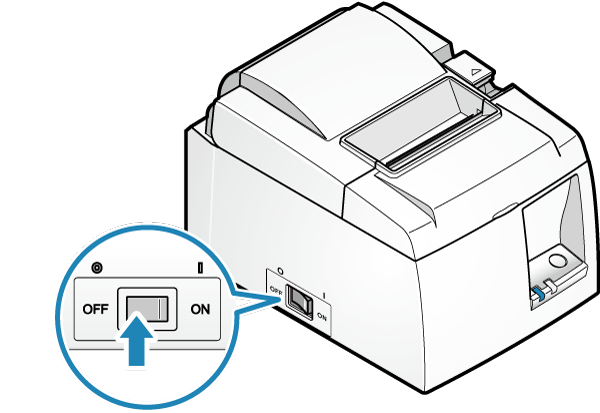 When setting the paper, pull out the paper edge in a straight line. 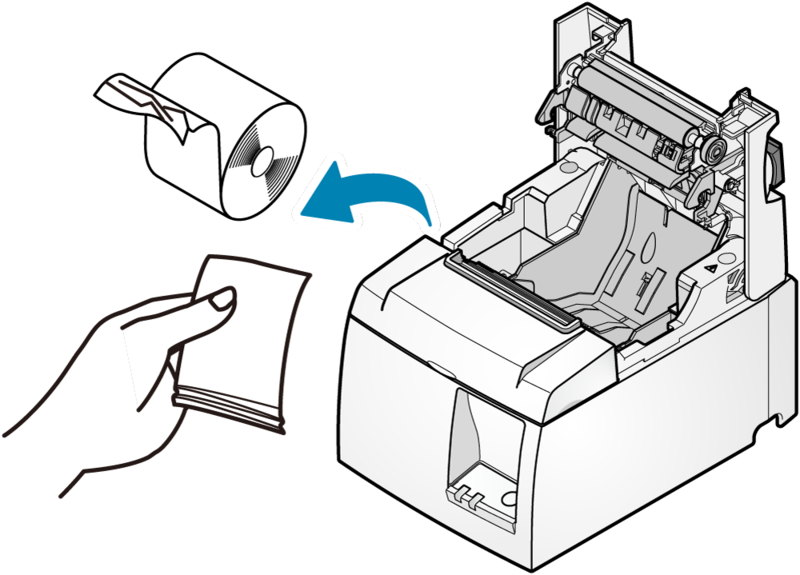 Do not touch the paper while it is printing, the paper is being ejected from the paper exit or before the cutting is performed.